It is nice to have a sofa with many function. This one designed for every day sofa. 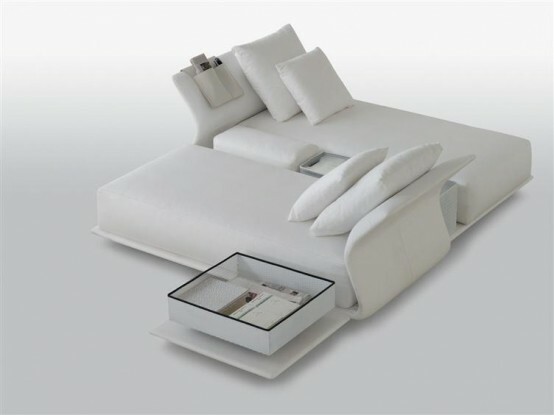 We call this modular transformable sofa. 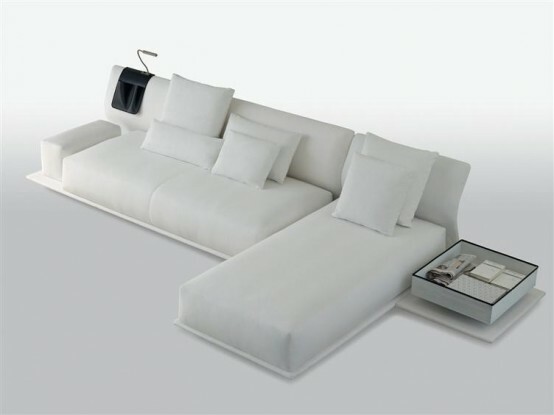 Because this sofa can transform from one separate to another. You also can named it Night and Day. This ideas come from Molteni&C. Night and Day is a new seating system designed by Patricia Urquiola and has become the new innovative solutions for saving space. It is because the single piece of furniture that implements functions of many separate ones. DonвЂ™t you know, you can do all activities on it. Try to sleep, work, relax, watching tv and many other things, that will be possible with it. Night & Day has the design without limits. DonвЂ™t worry about colors, sizes, adjustable back and built-in accessories can be combined together to satisfy individual needs. 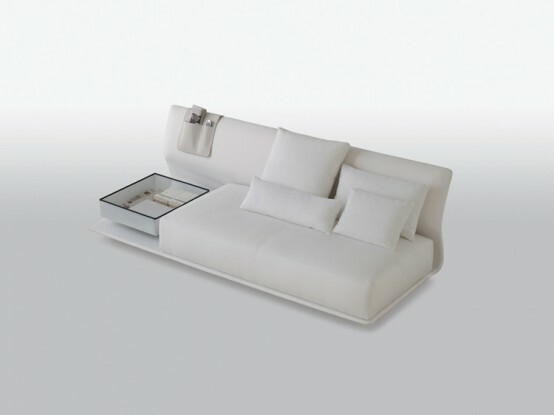 The foundation of the sofa system is a thin platform that is curved up to form a back rest. The curved section is actually flexible, comfortable and can be adjusted from a vertical seating position to a reclining one. This can be a good decoration on your home. Buy one and put in your cozy living room design. It is also suitable as Completely Living Room Wall Panels interior There are as wide as tall versions of the platform with cushions, which are sized to function as a single bed, or not as your want. 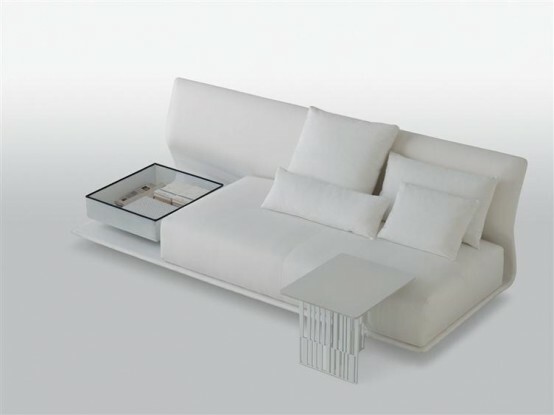 Multiple platforms sofa could be combined to adapt various sized spaces. The system also could be accompanied by storage bins, tables, and some clever pouches with integrated reading lights that hold magazines, books, and newspapers also. Night and Day is a Molteni & C attempt to push the boundaries of versatility. It is simple, nice but cozy by a new take on modular furniture design.